(Richard Vogel | AP Photo) Actor, musician and activist, Steven Van Zandt, center, joins in support of striking Los Angeles teachers and students on the picket in front of Hamilton High School on Wed. Jan. 16, 2019.16 at Hamilton High School. Los Angeles school administrators urged the union to resume bargaining as tens of thousands of teachers planned to walk picket lines for a third day Wednesday, after being joined on strike for the first time by some of their counterparts from independent charter schools. 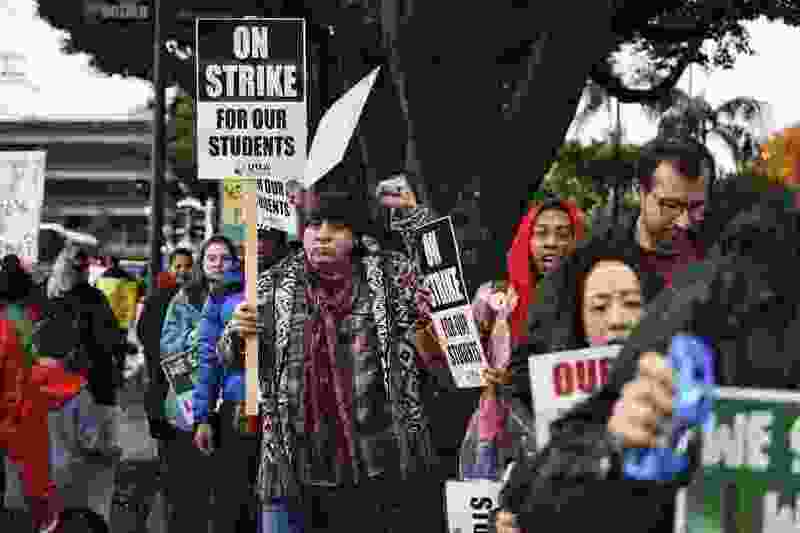 Los Angeles • A Los Angeles teachers union leader hinted of a possible resumption of contract bargaining Wednesday as striking educators in the second largest U.S. school district walked picket lines outside hundreds of schools for a third day.